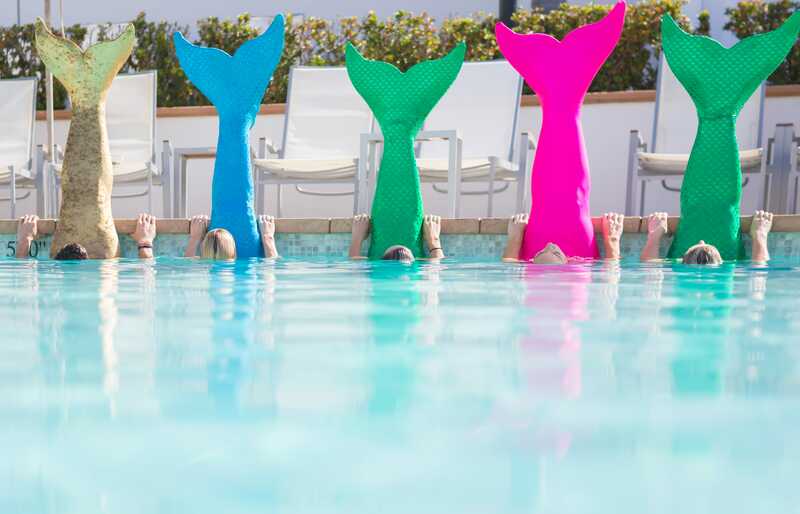 A hotel in San Diego just introduced “Mermaid Fitness” classes to its weekly lineup. 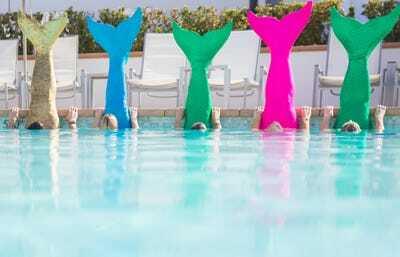 Participants wear mermaid flippers and colourful tailskins during the high-intensity, full-body workouts. The glittery tails, which are made from a lightweight bathing suit material and run for $120 to $150, were in high demand at the hotel gift shop last summer. This inspired Veronica Rohan, one of the hotel’s fitness instructors, to develop a workout class so guests could put the tails to use. If you’re nervous about swimming with your legs stuck together, don’t worry — the class takes place in the shallow end.